Sharon Salzberg offers 14 essential guided meditations for beginners. Ten million Americans will meditate today—and that number is only expected to rise. What’s the best way to get started? Learn from an experienced teacher. Sharon Salzberg, known for her ability to make meditation accessible while keeping true to tradition, offers Guided Meditations for Love and Wisdom. With more than a dozen beginner-friendly meditations, this program offers a well-rounded practice that will open your heart and mind. “Meditation practice opens us up to the world and allows us to realize fully what we are feeling, with balance and compassion, as we encounter both the joy and suffering in life,” teaches Salzberg. Now with Guided Meditations for Love and Wisdom listeners will have the tools to begin—and stick with—the liberating practice of meditation. 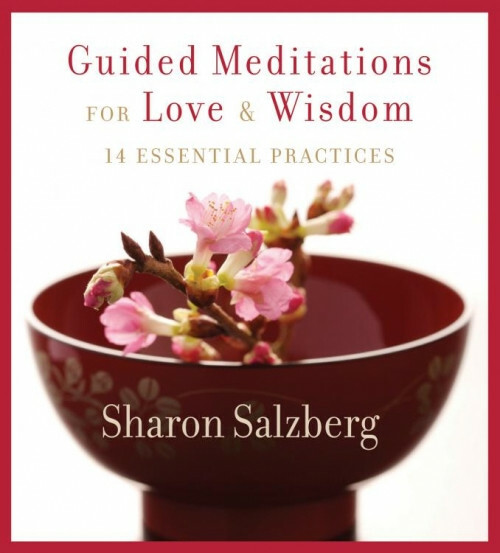 The author, Sharon Salzberg, is a gifted and highly experienced teacher and practitioner, and this collection of experiential practices/meditations is a slam-dunk choice for almost anyone. Fantastic for fostering more peace and happiness! Although the content is legitimate, I'm sorry to say the approach could be so much more enticing. Lacking in energy, life, excitement. So sorry - I was excited to hear Sharon because of mentions by Dr. Siegal. Good content. The download was a disaster I was refunded. I didn't bother to order the cd and be penalized for inferior service or equipment on your part.